Kathy was fat and tired all the time and did not like how she looked. After some ups and downs she vowed to make major changes and compete on stage. 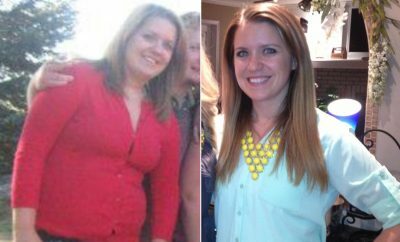 Learn more as she works to lose 34 of her 164 lbs! Well to be completely honest, I was FAT and TIRED all the time and I didn’t like how I looked – my clothes on or OFF – LOL. My age, in terms of my metabolism wasn’t helping me any – I needed to jump start my body, my life and especially my eating habits to finally realize my goals before it was too late. Once I started, I knew that there was no going back. As a Registered Nurse – (formally in a very busy Emergency Trauma Department) and at one point in my life a very unhealthy one at that – I was working very long and grueling hours and eating bad (fast) food. Back in November 2002; at the tender young age of 43… I developed chest pain at work, and found myself in the Cardiac Cath. Lab having to undergo a heart catheterization. Needless to say everything was fine (Thank God) however, this was my wake up call for sure (or at least I thought) I of course immediately went out and purchased a tread mill that I used maybe 3 times from November to December, 2002 and I’m sad to say it was collecting dust and was an additional place to hang my (fat) clothes. In Feb 2003 a coworker, who was in excellent shape himself, told me about the gym he goes to. This gym is owned and operated by a bodybuilder, ex-Marine, Tom Jimenez, (Tom placed 10th, in the Night of Champions held inNew Yorkin September 2006. Check out www.musclememory.com). I didn’t really know what I was getting into at that point – I was so out of shape and his Boot Camp classes, I heard, were intense !!! I truly did not believe that I would make it nor did I think I would truly love the sport of bodybuilding as I do now. Through all of my bone breaking injuries, literally! (I broke my ankle April ’03 and my right foot October ’03) It seemed as if I was taking 2 steps forward and then 10 steps back only to start all over again. I did however manage to stick with it on and off, as best as I could. Nonetheless, I wasn’t getting the results that I wanted, because I wasn’t putting 100% into it. I was not committed to making that lifestyle change. I then asked Tom, “What should I do?” – in his usual rough and tough way of talking, he said “Mzzz Marcos!, staying in shape is a job, you have to go everyday – and give it your all, no matter what!” – I took his advice and decided to commit myself to this lifestyle change 150%. I was now on a mission- lose the weight (34 pounds was my goal; I was 164 pounds and 39% body fat, when I started, May 2006 ), build muscle (to become lean and mean), train for “my” upcoming show in May 2007, which would be a tremendous accomplishment. So here begins my journey. In August 2006, I became serious and I set in motion my transformation, with a strict regimen of cardio utilizing a treadmill. I wanted to get rid of the weight the fastest way (so I thought). I also want to say, I really EXTREMELY DISLIKE cardio. In the beginning I ate clean 5 out of 7 days – as I am nearing my competition, I am eating clean 7 days per week. The road along the way was arduous – lots of detours, stops and starts, for sure – but I managed to stay on track despite what was going on around me. I had a goal and I wanted to stick with it, I will persevere! And most of all FOCUS is the key. My strategy was to listen to everything Tom said in terms of diet, cardio and weight training – he brought several of the girls in the gym to competition with first place wins which was also a huge personal motivating factor for me. UGH! The “D” word – the hardest part of all. Tom, gave me this diet to follow and I have named it the “ANGRY DIET” because when I first started, my body was not used to the reduction in carbohydrates… it was a total shock to my system. I still don’t know whether or not I was cranky because of the decrease in food consumption or the carb reduction… anyway… it works for me. My typical diet consists of six small meals a day, and I have been on this diet since August 2006, with some changes along the way. 6 ounces of chicken or fish with a salad (I have steak 2x per week, in place of the chicken or fish), 1/2 of veggies (beets, asparagus, or green beans), salad dressing (balsamic vinegar, Dijon mustard, 1 packet of Splenda and a drop of olive oil, all mixed together). 6 ounces of chicken or fish with a salad (I have steak 2x per week, in place of the chicken or fish), 1/2 of veggies ( beets, asparagus, or green beans), salad dressing (balsamic vinegar, Dijon mustard and 1 packet of Splenda and a drop of olive oil, all mixed together). No Cheat Days for the next 12 weeks. I take boot camp classes 6 days per week and a Cardio Boot Camp Class on Sunday. Cardio consists of 45-60 treadmill, speed 3.4-3.5 at a 6-15 incline. The key to cardio is get yourself an iPod, it worked for me – also don’t look at the “time” indicator on the treadmill – I cover mine with a towel! I don’t want to know how much time I have left – its makes cardio seem that much longer. Doing cardio is difficult for me – I don’t like it at all, you have to try different tricks to make it as pleasant as possible. Also interestingly enough this past Christmas my kids bought me a Nintendo Wii – I use this as a cardio session. – One time, I put my heart rate monitor on and boxed for approximately 20 minutes and burned 222 calories WOW!!! so if I get tired of the dreaded treadmill – I do the Nintendo Wii. I try to hit the heavy bag about 1-2 times per week as a warm up or between my sets when I lift . In terms of weight training, in the beginning I did not train as hard as I do know. Now I work out my legs every single day. Leg squats with a 20 lb. weight on my feet; alternating with step up and step downs for 1 min each exercise, until failure. ***I don’t rest between sets – I do dips or close grip unassisted pull-ups. I can now do 6 (wooooooo-hoooooooo) when I started, I couldn’t do any. This has been a very long journey with ups and downs – and at times I was ready to throw in the towel “for real”! I have devoted the last 7 months of my life to this transformation. The motivating factor for me first and foremost is my mentor, Tom Jimenez, who has guided me along the way and BB.com, BodySpace and its super site for the informative articles, advice and all the positive feedback I have received. Its important to note that I am still a “work in progress” with approximately 12 weeks left to go. Wish me luck in May! The goal now is just to “get there” I don’t necessarily want to win- I just want to be a part of it all and for someone my age, just getting to that point would be inspirational and motivating to other 40 something year olds that want to take that step and transform!! And a special note to my girls – “I promise when this is over you won’t be eating “leaves” (salad) every single day,” as my daughter Jill says.